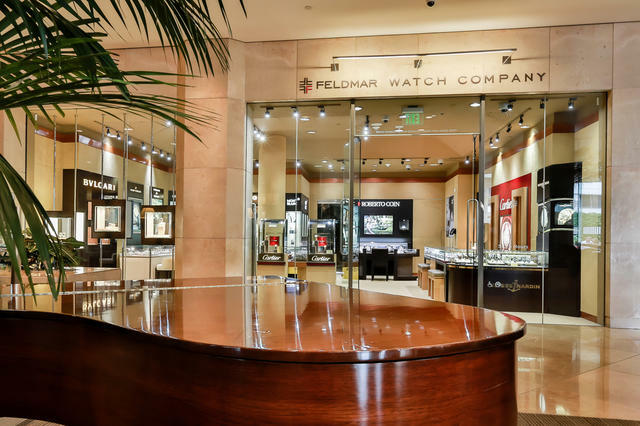 Since 1913, watch-savvy residents across Southern California and throughout the country have turned to Feldmar Watch Company for its exceptional array of fine Swiss timepieces and its genuine commitment to personalized customer care. 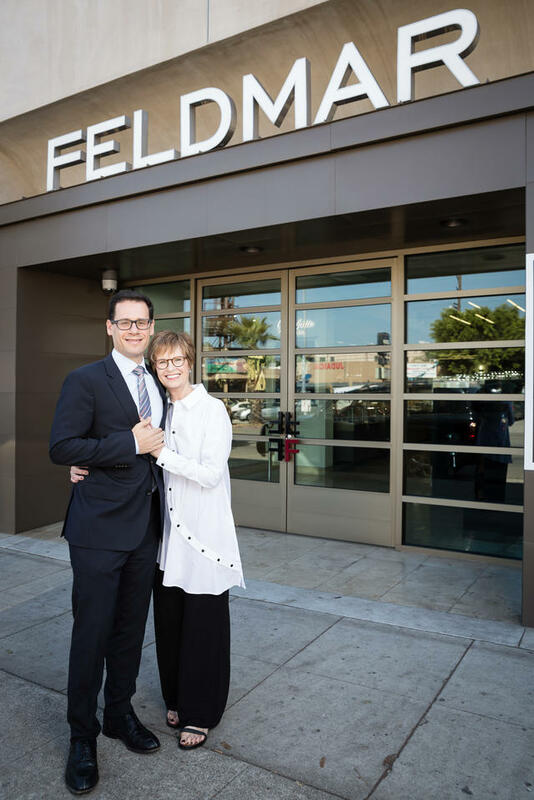 Jack Feldmar established this tradition of excellence when he first opened the doors to Feldmar Watch Company, offering skilled watch repair and restoration services at a modest price. Jack was pleased when his son Barney displayed a similar passion for the art of watchmaking; and together, in 1956, they relocated the company to its current flagship on West Pico Boulevard in Los Angeles. Since those formative years, Feldmar Watch Company has satis ed the luxury needs of thousands of discerning customers and families, from the seasoned watch collector to the novice enthusiast and everyone in between. Today, Jack’s vision is perpetuated by the third and fourth generations of this family enterprise, Nancy and Scott Meller. Under the leadership of the late Sol Meller, son-in-law of Barney and Harriet Feldmar, Feldmar Watch Company expanded its product offerings and held true to one of the company’s core values—exceptional customer service. Years later, the company is renowned for its broad assortment of fine timepieces from over 50 elite brands and a highly knowledgeable staff of over 20 professionals, each prepared to help clients navigate the extensive inventory or service a treasured timepiece through the service department. The selection of luxury timepieces varies in prestige and price, and is inclusive of some of the most revered names in watchmaking. Breguet, Blancpain, Bulgari, Cartier, Ulysse Nardin, Hermès, Breitling, Omega, Girard-Perregaux and Maurice Lacroix are among the varied offerings. While hard-pressed to isolate one brand as the store’s most successful, Scott, representing the company’s fourth generation, explained that the extensive inventory is perfectly in line with the varied interests of their clientele. 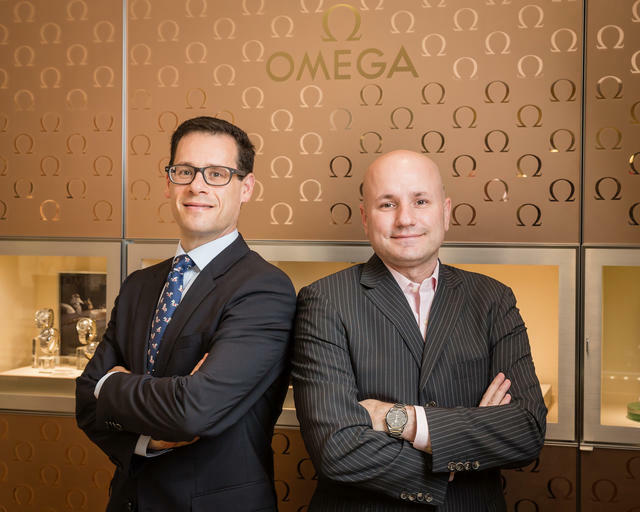 The Mellers have recognized the growing strength of the pre- owned and vintage timepiece segment, offering estate buying and trade-in services to the delight of clients nationwide. Pre-owned timepieces are also available for sale, and highly trained watch- makers inspect each piece before it hits the showcase to ensure the watch is in excellent condition and functioning properly. Ten watchmakers comprise Feldmar Watch Company’s after-sales service department which, coupled with other staff, carry on the Feldmar traditions each day. “Our entire team is comprised of dedicated watch enthusiasts. Their passion for timepieces truly matches the level of service that is delivered,” shares Scott. Feldmar Watch Company’s operations manager, Jamie Hayes, adds, “Our connection with collectors, connoisseurs and enthusiasts is quite strong. It begins with our selection of brands that includes many niche brands of interest to these clients. The connection is strengthened with our dedication to maintaining a deep knowledge of the products offered by these brands. 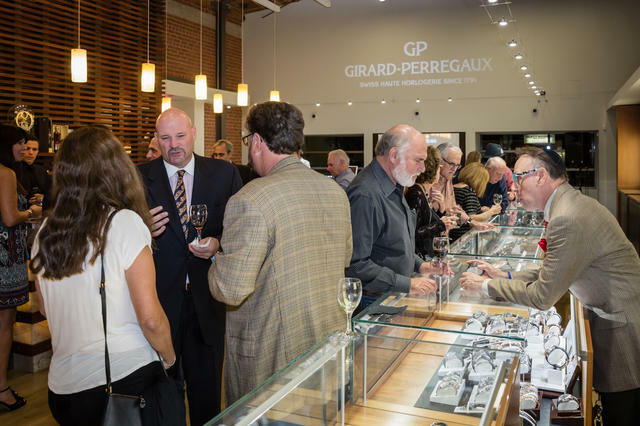 We enjoy hosting special events in-store that really showcase exactly what drives the connection of our collector, connoisseur and enthusiast clients to the exclusive products that we o er. We take great pride in having these individuals as both clients and friends.” Customers are greeted daily within Feldmar’s exquisitely redesigned and expanded 9,800-square-foot flagship store, its construction completed a few years ago, just in time for the company’s one-hundredth anniversary. The space is sleek and contemporary and imparts a welcoming, familial atmosphere. 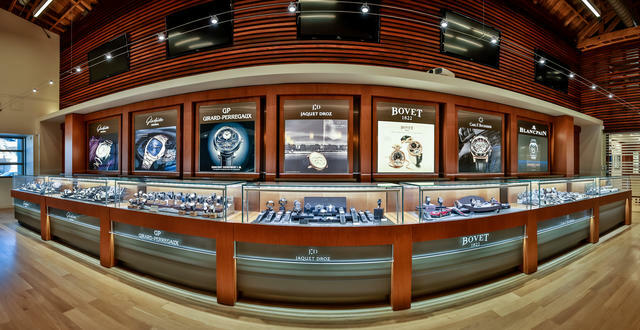 A second location, Feldmar Beverly Hills, located within the Beverly Hilton, displays a scaled in-store selection of fine Swiss timepieces and select accessories and features a Roberto Coin jewelry boutique. “The most pivotal moment in our company history was when we made the decision to purchase the first adjoining property to our existing flagship location in 2000,” says Scott. “This proved to be a pivotal moment for two reasons: first, the expansion had an immediate effect on the growth of our business, but ultimately paved the road for our next expansion 10 years later when the next adjoining property became available. Securing it was an obvious decision based on the success of the previous expansion. It ultimately gave us the opportunity, but more importantly the confidence, to expand and renovate our flagship location which was completed in late 2012.” Exposed vintage brick, white oak floors and custom crafted mahogany showcases with gleaming glass outfit the showroom. A watch bar crafted in illuminated onyx with stone top is the centerpiece, and elegant Breguet, Blancpain and Omega in-store salons immerse clients in unique brand environments. The store also features shop-in-shops for Breitling, TAG Heuer and Longines. 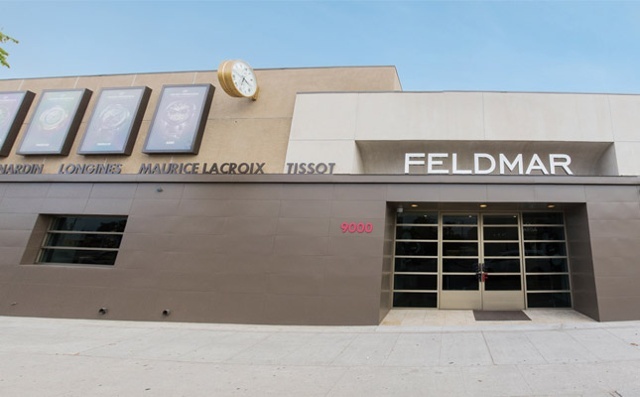 Another highlight of Feldmar’s showroom is an exquisite gallery and event space, where the company has the ability to host special and unique presentations for their luxury brand partners. This initiative has allowed Feldmar to bring the passion and excitement experienced during Baselworld and other industry events back to Los Angeles.